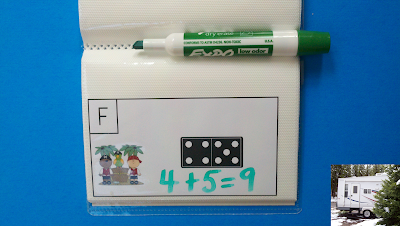 Pirate Kids Domino Add the Room (Sums of 6 to 10) is a great FREE math activity for Talk Like a Pirate Day. 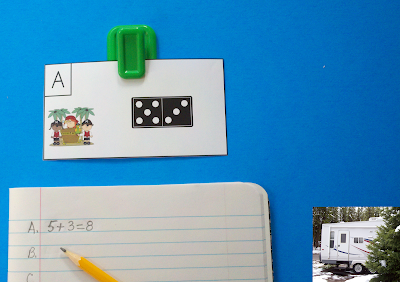 Add the room activities are a fun and engaging way for little learners to work on math fluency. This resource can be used in different ways. You may print and copy the recording page as shown in the picture above. Learners can write their responses in their Math Journals as shown in the picture below. This option saves paper and keeps your copy count low. You may place the cards in dollar store photo albums and use a dry erase marker to make write-on/wipe-off activities. This option makes great Fast Finisher activities. The picture below shows the option of cards used in a photo album. Choose the option that is best for your class. 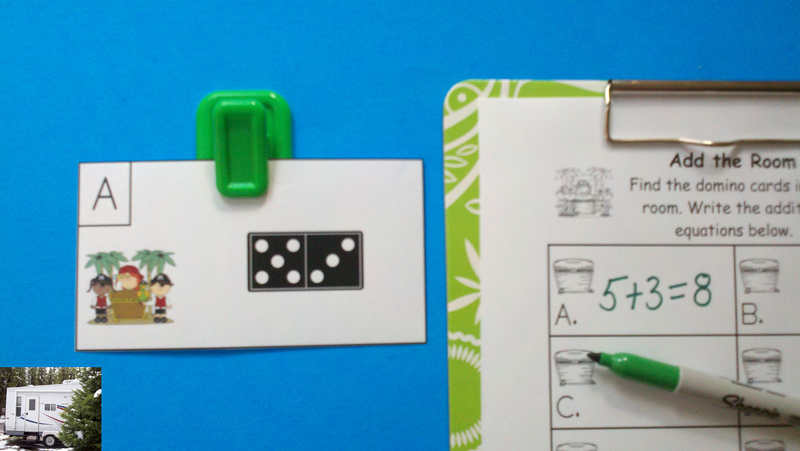 I hope you and your little learners enjoy this activity.